The shooter at Umpqua Community college in Roseberg, Oregon, Chris Harper Mercer, had three hand guns, likely semi-automatics, and an assault rifle. He killed 9 people on campus and wounded at least 7, before he was himself shot and killed. He asked people their religion and if they said “Christian,” he said Good, you’re about to meet your maker and then killed them. The Christian Right in the US is a main support for the lobbyists who stand in the way of sane gun laws. I think the New Atheists like Bill Maher and Sam Harris have to take responsibility for their community (those who dislike Christianity) and issue an apology and condemnation of Mercer’s actions. Why don’t we ever hear them condemn terrorism by atheists? The most popular hand gun is a Glock. It is not an automatic weapon, meaning you have to squeeze the trigger each time to fire. But it is much easier to get off many shots one after another than in the case of a traditional pistol. The magazine for the Glock 17 has 17 rounds; one can get a high capacity magazine of 33 rounds. High capacity magazines and some semi-automatic weapons were banned in the Clinton era. But the gun manufacturers have bought Congress, so that that ban could no longer be implemented. Let us not pretend that this is about hunters and hunting, folks. Anyone who shoots deer with a Glock should be publicly shamed. 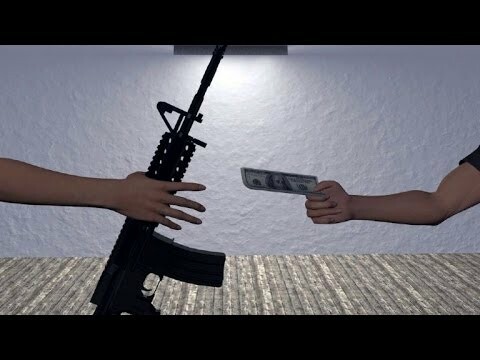 Having a hand gun in the house also does not make anyone safer; family members shoot each other with them or commit suicide with them when temporarily depressed; and burglars wrestle them away and shoot the owners with their own weapon, or the owners end up being charged with murder for shooting an unarmed burglar. Plus people are not well. I figure at least 20 percent of the US population has mood disorders or other mental problems such that you really wouldn’t want to see a gun in their hands. Nor is it about the actual, historical, 2nd Amendment. Our current legislative program in the US is “a semi-automatic high capacity weapon in the hands of every mentally unstable person.” But since Congress is also determined to pump 50 billion metric tons of CO2 into the atmosphere in the next decade, which will pretty much sink us, the mania about everyone having guns is not even the most dangerous hysteria currently gripping our country. The United States continues to be peculiar in handing out powerful magazine-fed firearms to almost anyone who wants one and not requiring background checks on private purchases even if these are made at gun shows. 80% of civilian-owned firearms world-wide are in the US, and only Yemen vaguely competes with us for rates of firearm ownership; Yemen is a violent mess with Shiite insurgencies, al-Qaeda taking over cities from time to time, tribal feuding, southern separatism and US drone strikes. And even it has fewer guns per person than the USA. It has gotten to the point where the increasing epidemic of mass shootings now threatens the US military, the most powerful military in the world. The US is downright weird compared to civilized Western Europe or Australia (which enacted gun control after a mass shooting in 1996 and there have been no further such incidents). In 2013-2014 (the twelve months beginning in March), there were 29 fatalities from gun-related crimes in England and Wales. Mr. Mercer killed 9 people at least, about 1/3 the total annual such deaths in those two parts of the UK. Number of Murders by firearms, England and Wales, 2012-2013: 30 (equivalent to 164 US murders). Percentage of all murders in England and Wales that were committed by firearm: 5.4 percent. For more on murder by firearms in Britain, see the BBC. 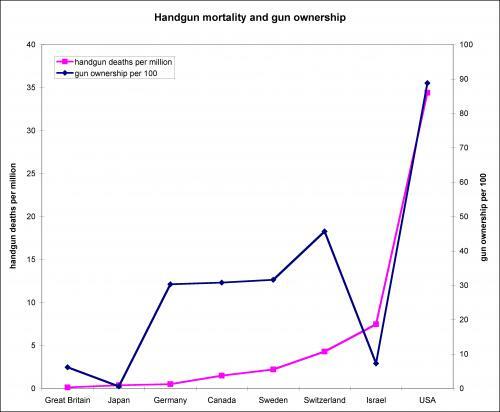 The US has the highest gun ownership in the world and the highest murder rate in the developed world. Do hunters really need semi-automatic AR-15 assault weapons? Is that how they roll in deer season? The US public doesn’t think so. PS this is a revised version of an older column; if they keep refusing to legislate rationally and go on causing these massacres, I can keep writing a similar column.